I’ve been personally seeing a rise and general interests in synths. Frankly, they’re hot.. and they’re pretty cool. Retro synth sounds have that nostalgic appeal (just refer to Stranger Things theme song). When I was approached by Gavin about doing a guest post about how to choose effects for synths, I was definitely interested. So without further ado, here is Gavin’s guest post! When it comes to choosing the right guitar effects pedal, it’s safe to say there’s a ton of choice out there for you to choose from. However, when you plan on using this effects pedal with your synthesizers, you’ll find yourself suddenly on the lookout for a pedal that ticks several different boxes. Today, we’re going to explore everything you need to know in order to choose the right guitar effects pedals to use with your synthesizer. When a pedal is designed to be used with your guitar, you may find that it doesn’t match the input levels that your guitar has and can end up distorting horribly. Check beforehand to see whether they are compatible and be sure to watch your synth levels (typically around 75%). There are three different types of signal that you can play around with — analog, digital or hybrid (a combination of both). However, when it comes to using the pedal with a synthesizer, this really doesn’t matter. Simply choose the type that works best for the sound that you’re trying to achieve. There are three types of input you can choose from here, referring to the input and the output — Mono/Mono, Mono/Stereo or Stereo/Stereo. While Mono inputs mean that you’ll have fewer wires running throughout your setup, there are some positives to use a stereo linkup. In addition to being able to give your synth a much better image, it will also allow you to connect multiple pedals at the same time, no matter if you have a delay pedal, a distortion pedal or something else, which you can then use individually using the bypass setting. However, always remember that even when all your pedals are bypassed, you’ll still hear your synth in a stereo format. Here you’ll have two choices — plugging your pedal into a mains socket, which means you’ll be restricted on where you can perform but is typically more powerful or run on batteries that can run out at any time. Again, this can be chosen solely on what is best based on your own requirements. External control here relates to the unique feature you get with some effects pedals that allows you to use an expression pedal jack which can allow for a continuous foot controller pedal to change one or more parameters. This means your hands will be free to use your synth keyboard entirely to play or tweak your productions. 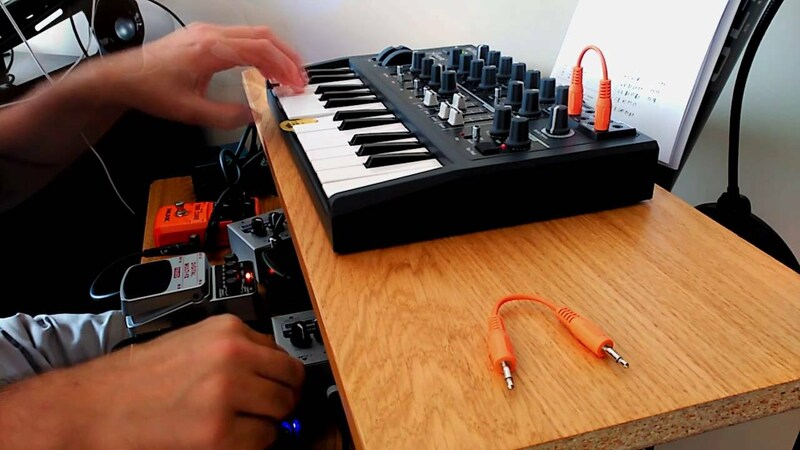 However, it’s worth noting that many of the higher end MIDI pedals will come with a MIDI In jack which can give you the opportunity to change one or more parameters using only your feet, depending on how you’ve set up your pedals and synthesizer, ultimately giving you a lot of freedom to experiment with the sounds you’re trying to create. 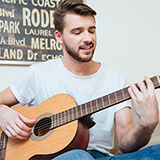 Gavin Whitner is a passionate musician and the primary blogger at MusicOomph. He’s a songwriter, composer and the lead guitar player for his alt-rock band.